Is the Bible falsifiable? And would a real live ET do it? This week’s feedback is a continuation of Is the Bible falsifiable? And would a real live ET do it? It seems that the questioner, Jere Y., has given up hiding his true colours as an anticreationist, determined to resort to psychologization of our motives and operations instead of providing real data. Your title is very misleading. I NEVER asked if the bible could be falsifiable. I simply want to know how you would respond if one of the tenets of creationistic dogma to which you subscribe would someday be falsified. The title was not misleading when you consider our article. Per the feedback rules on our site your question was selected as it provided an opportunity for us to incorporate some interesting issues. Gary Bates also emailed you to say this would be happening. 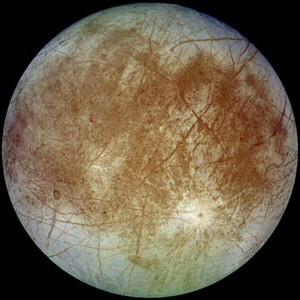 I would not have a huge problem if microscopic life was discovered on other planets. I would strongly suspect contamination from Earth life as the most likely explanation though. We know that Earth-originated spores exist in our outer atmosphere, for example, and Paul Davies, among others, has raised this as a distinct possibility, e.g. microbes carried within rocks blasted off the Earth. And then there is the possibility that prior manmade probes originating from Earth had previously ‘seeded’ it there, a concern raised by others before me. We know what you said, and also point out that it is a leading question. Also, in some cases, astrobiologists, desperate to further ‘life in space’ claims (probably to ensure continued research funding), have completely mistaken or at worst misrepresented non-organic life for bacterial life (see Life on Mars). This is precisely why I offered as an example aquatic creatures in a possible subterranean ocean of Europa, because if they do indeed exist, then they could not possibly have come from Earth. Not so. We are talking about a hypothetical future discovery, and it may well be that this comes via an exploratory probe which might be the last of a whole series of such probes—of which previous ones might have carried the contaminating life. This is true even for multicellular organisms—tardigrades, for example, following dehydration, have shown an enormous capacity to survive in environments mimicking the extremes of outer space. See Life at the Extremes. But these possibilities aside, I would find it distinctly odd for God to have created some plankton swimming around on Europa, for instance. This is because there is a biblical ‘big picture’ to creation, as follows: A major purpose of creation in the Bible seems to be to end up with an eternal companion for the Lord Jesus Christ, namely redeemed humanity. Since redeemed humanity is a subset of humanity as a whole, this is the reason for the creation of mankind. And the purpose for the creation of the plants and animals (i.e. the whole biosphere) is clearly to have a ‘life support system’ for mankind on Earth. Where the Bible is silent, both explicitly and by what can be logically deduced from its premises, we are free to accept or reject based on the evidence. … There is a huge difference between genuine biblical silence and a lack of an explicit statement, ignoring the implicit teachings. So IF there is indigenous, aquatic life on (or in) Europa, what does that mean for creationism? See next paragraph where we answered the question. However, I would not go so far as saying that plankton swimming on Europa would falsify the Bible, though it would come awfully close, in my view. But when it comes to your question about ET sending out radio signals, that is a different matter, and I would personally go further. I don’t think plankton (or any other creatures) on Europa would falsify the Bible at all, but it would pose BIG problems for the creationistic worldview. They are one and the same thing! 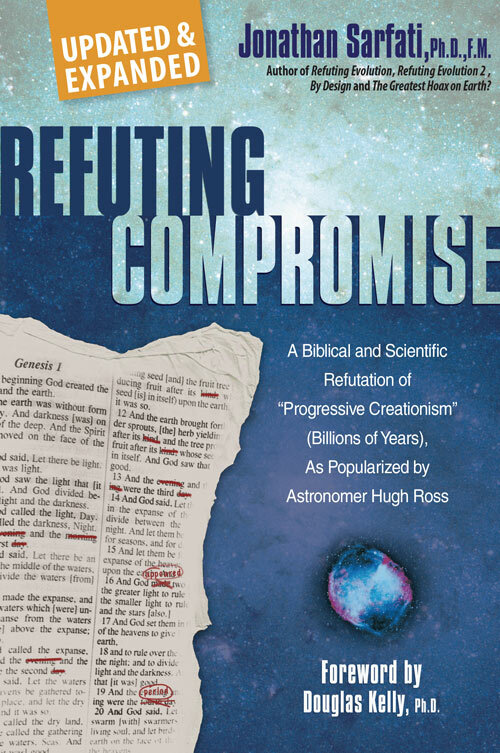 The ‘creationistic worldview’ is a logical deduction from Scripture. I personally believe the Bible is silent on the matter of E.T., just as it is on galaxies, DNA, and extrasolar planets. They weren’t mentioned in the Bible either, but that does not mean they don’t exist. You missed the point because your argument is from silence. How is it logical to presume something may exist when it is not mentioned in the first place? Where the Bible is silent, both explicitly and by what can be logically deduced from its premises, we are free to accept or reject based on the evidence. But as we pointed out, there are a number of deductions from biblical premises that rule out ET (see Did God create life on other planets?). DNA, extrasolar planets and the like are consistent with an understanding of the Bible’s big picture. The Bible does not mention motor cars either and these neither validate or invalidate the Bible. They are neutral when it comes to their theological implications. The idea of intelligent life is not theologically neutral because it would invalidate the very reason Christ came to Earth to save humankind. Before going on let me say that again, one should exercise a high degree of caution before naively accepting any ‘pronouncements’ on any such future ‘discoveries’. I am very wary of SETI’s research. Despite the millions of dollars of public and private money invested so far there has not been a single speck of evidence to suggest that we might be able to eavesdrop on ‘ET phoning home’. In one case they mistook a simple radio emission from a pulsar (basically a ‘blip … blip’) for an intelligent extraterrestrial source. On other occasions they have mistaken artefacts from their own telescope arrays and satellites as signals from outer space, and once even mistook radiation from the downstairs microwave oven for ET (see Take me to your microwave, New Scientist, 20 January 1996)! I am aware of SETI research as well. Although it used to be the case, it is no longer taxpayer funded. It is now funded solely by private donors. And sure there have been false alarms, but SETI scientists as a rule are wary of making any big announcements until all other possible sources have been ruled out. They have to be skeptical until all other possibilities can be eliminated. And sure [there] have been no discoveries as of yet, but that doesn’t mean there never will be. As technology improves, their ability to scan the skies gets better all the time. We simply will never know unless we try. That is debatable. The ‘Life from Mars’ announcement certainly counts as rash, and may as well have been ‘NASA needs more government funding’. To say, ‘that although SETI have found nothing yet’, is like the old canard about monkeys being able to type the 23rd Psalm if they just had enough time. See, too, the recent claims about the extrasolar planet Gliese 581 C. This alleged planet is not even observable to the human eye yet the media was already making claims about extraterrestrial life on it. ‘So what we may have here is a terrestrial planet with liquid water on its surface. Again, all the evidence gathered so far means that we haven’t yet discovered signs of alien life. That says nothing about whether we ever will. We never will only if we stop searching. You can’t disprove the existence of pink unicorns either if you stop searching, but should billions of dollars be spent on looking? And these very same scientists did not throw cold water on the ET claims about Gliese 581 C as they should have if they were themselves skeptical. Of course, like SETI, sensations sells and helps with further funding, whether private or public. Also, the huge distances involved in ‘cosmic’ research would make it nearly impossible for anyone to be able to definitively confirm their suspicions that a planet might hold alien life. In short, I don’t believe that it is likely that I will ever be faced with such a question as yours. I.e. 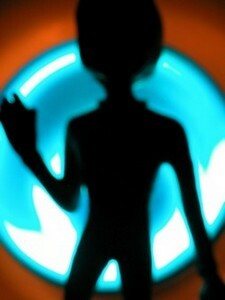 we are unlikely to ever have indisputable proof of intelligent alien life. You just told me your personal belief and gave me a very falsifiable prediction, but you are still failing to answer the question I posed to you. I didn’t ask what your beliefs were. Go back and reread my original question. You are incorrect. We did provide an answer and even gave an example of the different types of life. I.e. microbial life would be strange but would not falsify the Bible, but intelligent life would. So please go back and reread our answer, which was not only relevant to you but to the question of overprotecting the Bible. I.e. some are so afraid of any sort of historical or predictive falsification that they deny that it makes any historical or predictive claims at all. But this emasculates its power. ET emerging from a craft after landing on the White House lawn, once hoaxes were excluded, would of course be a different matter. In such a hypothetical case, would I believe that it would falsify the Bible? I think we need to be prepared to put our beliefs on the line. If the Bible ever becomes unfalsifiable in our minds then can it ever be said to be ‘true’ in any meaningful sense of the word? (E.g. if one said that nothing would make us disbelieve the Bible, even if we could travel back in a time machine and observe that the events of the Crucifixion/Resurrection did not happen as the Bible records them.) Indeed, the Christian faith would have been falsified right from the start if opponents had produced the dead body of Christ (with clear marks of the crucifixion etc. ), but no-one ever did. So yes, I would firmly predict that there will/can never be indisputable evidence of intelligent life on other planets, i.e. beings that can communicate, make moral choices, etc. This is because of the whole Creation/Fall/Redemption framework in Scripture—see Did God create life on other planets for a definitive summary on how the idea of intelligent extraterrestrials living on other planets violates the very Gospel of Christ. (Some have argued that angels are extraterrestrials because their ‘home’ is not the earth, but this is not what we are talking about. So I am clearly making the distinction about life on ‘other planets’). You are still avoiding my question. This is precisely why I posed my question. 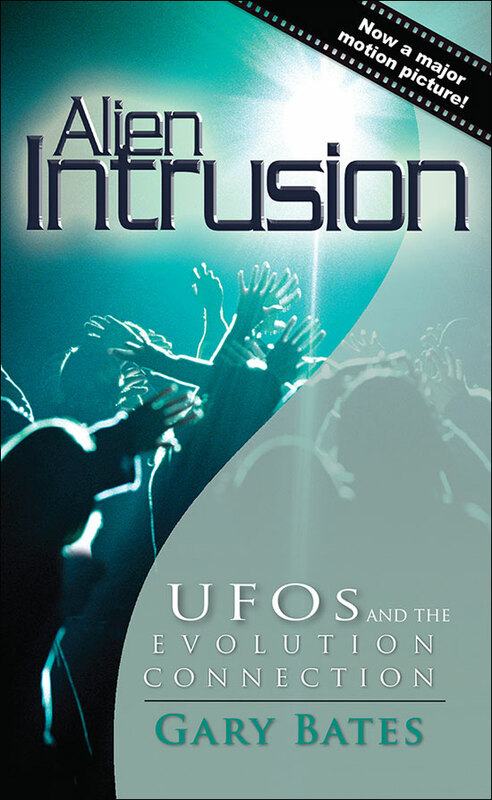 If extraterrestrial life on other planets do exist (and I am not saying that they do), then how would those who hold to a creationary worldview respond if the Gospel of Christ as they see it is indeed violated? You are still avoiding the answer! There was a reason that the article was titled the way it was. This contrasts with the Australian Skeptics, who said that even if they found the Ark on the mountains of Ararat, they would merely believe that the Hebrews were clever people rather than accept the Bible as God’s Word. I find it interesting that you are wary of any SETI claims of extraterrestrial intelligence yet this paragraph suggests that if a boat is found in the Ararat mountains then you would be quick to conclude that it is proof positive of the global flood. It would be suggestive, but we have made it clear that our belief doesn’t depend on finding any Ark there now. You have imputed motive here and seem to have knowledge of what we would say. If you had done your research on this site you would find that we have answered questions about this in-depth. There is no reason why it wouldn’t have been used as building material or firewood, especially with the old forests destroyed. See also Caution about Ark discovery. That would require further investigation and testing to determine how old it is and whether it contained several species of animals. Even so it would not mean that the flood was necessarily global. You prove our point! There is nothing that would convince dogmatic sceptics of the falsity of their beliefs. Compare Lewontin’s very revealing admission of his a priori commitment to materialist explanations, no matter how absurd they seem. Aside from my presuppositional belief in the infallibility of Scripture (words from the very Creator Himself), the increasing evidence from astronomical investigations only reinforces that the Earth is unique and that our universe is finely tuned for human life (the Anthropic Principle). Have you ever heard of extremophiles? They are microbes which exist in conditions fatal to most forms of life on Earth. Yet that can thrive in environments similar to that on other planets. There are many places on Earth “finely tuned” to extremophiles for instance but not for human life. Why not on other planets as well? We have not only heard of them, but have enthusiastically written about them, in the article mentioned earlier, Life at the Extremes. Once again, if you had followed our feedback rules and searched our site you would have discovered this. This only provides further compelling evidence of and support for the Bible’s divine origin. As does the recent evidence, not yet ‘penetrating’ the secular world, that the distribution of galaxies on a large scale indicates a galactocentric universe, i.e. our galaxy is indeed located in a special place. See In the Middle of the Action. Wikipedia? Anyone can edit there, provided that the clique of ‘sysops’ (which once included the proven fraud, ‘Essjay’, a college dropout posing as a professor) and their groupthink can be bypassed. The evidence for quantization was compiled over decades. Apparently the most recent evidence hasn’t yet penetrated the ‘creationist’ world. [Red shift] data [showing an expanding universe] would be consistent with a galactocentric cosmology. But the evidence we have adduced from Tifft and the Sloan survey makes sense only with a galactocentric cosmology. Or rather, you haven’t addressed our rebuttals of this discounting of the evidence. 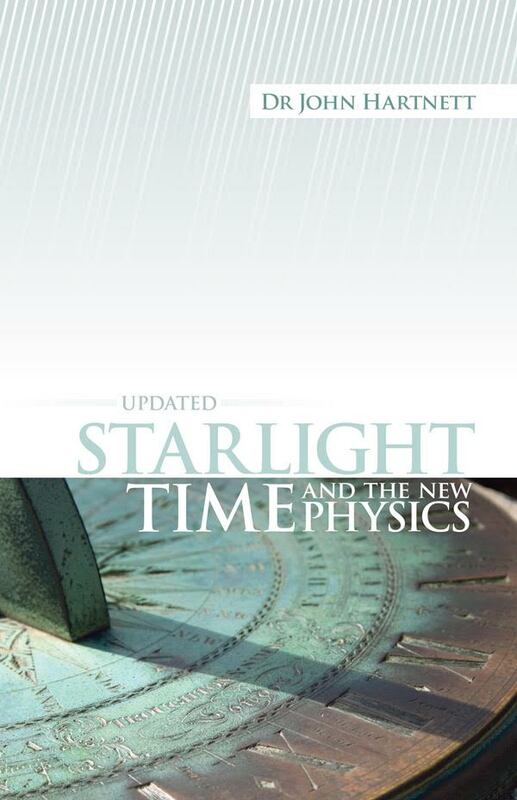 Dr John Hartnett’s latest book Starlight, Time and the New Physics is up-to-date on this, as well as on the fallacies of the big bang. I also checked the SDSS link you provided as well. Only in the upper wedge does a cluster ‘appear’ to be centered on the Earth. The lower wedge shows galaxy clusters which appear to be centered off the Earth. I find it interesting that you conveniently omitted the lower wedge, which does not show any obvious clustering centered on the Earth, from your feedback site. Seems pretty centred to me, and most importantly, does not support the no-centre axiom of evolutionary cosmology, called the cosmological principle. So even if you were right, the data would be consistent with a galactocentric cosmology. But the evidence we have adduced from Tifft and the Sloan survey makes sense only with a galactocentric cosmology. In short, even though I have already said that I would put my prediction, that the universe does not contain other planets with intelligent civilizations, right on the line as potentially falsifying the Bible, the question is a bit of a non-starter for me. I find it difficult to answer because I know it will never occur. No you don’t know it will never occur, you only believe it won’t. That’s why I [asked] this question that you failed to answer—what if it does occur? 100 years ago nobody believed in the existence of DNA, extrasolar planets or other galaxies, but now even creationists admit that they exist even though they weren’t specifically mentioned in the Bible. For creationists to admit that things which we know exist today were nowhere to be found in the Bible, they must have found a way to incorporate into their worldview. I would just like to know how they would fit the existence of aliens in with their creationist worldview if they are discovered someday to actually exist. That’s all. Once again, there is no logical deduction from Scripture against DNA, galaxies or extrasolar planets. But you have not dealt with the glaring contradictions between biblical teachings and ET life. There is a huge difference between genuine biblical silence and a lack of an explicit statement, ignoring the implicit teachings. Hubble, E.P., The Observational Approach to Cosmology, Clarendon, Oxford, 1937. Return to Text. Feynman, R.P., Morinigo, F.B. and Wagner, W.G., Feynman Lectures on Gravitation, Penguin Books, London, 1999. Return to Text. Gibbs, W. Wayt, 1995. Profile: George F.R. Ellis; Thinking Globally, Acting Universally. Scientific American 273(4):28, 29. Return to Text.